The Remnant Newspaper - Are Pope Francis’ Canonizations Infallible? Are Pope Francis’ Canonizations Infallible? IN MAY 2014, The Remnant newspaper published my article titled “Questioning the Validity of the Canonizations.” In the article, I questioned the validity of Pope Francis’ canonizations of John XXIII and John Paul II, arguing that if the canonizations did not meet the Church’s legal requirements, then they would not be licit, and hence, presumably not valid (again, per the Church’s current legislation, under which Francis the Humble chose to operate). And if the canonizations were not valid under the Church’s current legislation, I argued that we don’t even get to the question of whether the canonizations were infallible, because the purported infallibility of a canonization presupposes the canonization was valid under Church law in the first place. Hence, my thesis in that article relating to the canonizations of John XXIII and John Paul II would likewise apply to Pope Francis’ recent canonization of Paul VI: these canonizations are invalid because they objectively failed to meet the requirements of applicable Church law, namely, because these men publicly held and promoted positions contrary to Catholic faith and morals. While the new norms are not nearly as rigorous as pre-Vatican II law, and delegate the determination of the cause to the local bishop (not the Pope), the new legislation still requires a candidate’s writings to be free from doctrinal or moral error in order for the cause to proceed. Specifically, the law provides that all published writings are to be “examined by theological censors,” and if “the writings have been found to contain nothing contrary to faith and good morals,” then the bishop is to also examine the candidate’s unpublished writings, as well as all documents, which in any way pertain to the cause. The law then provides that “If the Bishop has prudently judged that, on the basis of all that has been done so far, the cause can proceed,” he is to so proceed with an examination of witnesses. Read The Remnant Newspaper wherever you go! When inquiries are complete, a report is prepared and the cause turned over to the Sacred Congregation for the Causes of the Saints. While in deference to his authority there is a presumption that the bishop’s assessment is correct, reason alone dictates the presumption is rebuttable if there are notorious facts which contradict his conclusion. These are facts which the bishop would have easily discovered had he exercised reasonable care and “prudent judgment” as the Church’s law requires. While demonstrating the many deviations of these Popes from Catholic faith and practice is well beyond the scope of this article, these deviations have been documented by both traditionalists and “conservatives” alike, which have both violated Church law and the doctrines of the Faith (and which would have certainly barred them from canonization under the old process). Any bishop who “prudently judged” this evidence in the objective order would have had grounds for stopping the causes of these three Popes from advancing to the Holy See. The Pope’s canonizations of saints are infallible. they taught and acted contrary to the Faith. could not have been declared by a true Pope. The purpose of this article is to demonstrate that the Sedevantists and anti-pope Francis types have not proven their Major Premise (that canonizations are infallible) and, hence, their conclusion (the conciliar canonizations came from an anti-Pope) does not follow. Consequently, one cannot use these canonizations as evidence that Francis the Dictator is not the true Pope, no matter how many adulterous unions he blesses, or how many sodomites and pederasts he shields. As the eminent theologian, Rev. P. J. Toner writes in the 1913 Catholic Encyclopedia: “In the Vatican definition, infallibility (whether of the Church at large or of the Pope) is affirmed only in regard to doctrines of faith or morals…” Declaring someone a saint, however, is a judgment of sanctity, strictly speaking, and not a declaration on faith or morals about a doctrine which is contained in the Deposit of Faith. Since the Church has never declared that infallibility extends to the secondary objects such as the canonization of saints (which comes under the category of disciplinary facts), the Major Premise has not been proven. What I am saying, is that the proclamation of a person’s sainthood is not a truth of faith because it is not a dogmatic definition and is not directly or explicitly linked to a truth of faith or a moral truth contained in the revelation, but is only indirectly linked to this. It is no coincidence that neither the Code of Canon Law of 1917 nor the one currently in force, nor the Catechism of the Catholic Church present the Church’s doctrine regarding canonizations. Second, according to some of the best pre-Vatican II theologians, the proposition that canonizations do extend to secondary objects of faith and are thus infallible is qualified as only the “common opinion” (and not “theologically certain,” much less de fide). Canonizations have been considered secondary objects of infallibility with only varying degrees of certitude because the Church cannot know with absolute certainty whether someone is in Heaven unless it has been revealed by God. This level of certainty differs from other secondary objects such as theological conclusions (inferences deduced from two premises, one of which is revealed and the other verified by reason) and dogmatic facts (contingent historical facts). This begs the question whether it is still the common opinion of our day, during the post-Vatican II apostasy, that canonizations are protected by the charism of infallibility, since the “solemn process that has been followed since the ninth century” no longer exists (and the new and less rigorous procedures are even dispensed with in some cases). In fact, the Pope is not engaged in the “solemn process” (using Toner’s words) as he traditionally was, for which he would be said (by some) to receive infallible assistance from the Holy Ghost. We thus see that the infallibility of canonizations was the “common opinion” of the times before Vatican II, but is arguably not the common opinion of today. And even if one wishes to maintain that it is still the common opinion, he would also have to concede that common opinions can be rejected for grave reasons (e.g., new historical developments, such as the change in procedures and the apocalyptic apostasy we are experiencing today). That some Sedevacantists and anti-Pope Francis types go so far as to argue that the proposition is de fide reveals a startling lack of knowledge of the history and subject matter on the question. I also note that not all Sedevacantists believe that canonizations are infallible. There is no question of heroic virtue in this formula; on the other hand, sanctity does not necessarily imply the exercise of heroic virtue, since one who had not hitherto practiced heroic virtue would, by the one transient heroic act in which he yielded up his life for Christ, have justly deserved to be considered a saint. Now, if the object of the infallible judgment is only whether the person is in Heaven, no one can object that infallibility has been violated on the basis that this or that person has been canonized, since even a hardened sinner is capable of performing “one transient heroic act,” of yielding up his life for Christ at the moment of death, and thereby obtain the Beatific Vision. This would surely include a repentant Pope. And if anyone maintains that someone who lived a horrible life and only converted on their deathbed cannot be recognized by the Church as a saint, they are going to have a hard time explaining how St. Dismas, the Good Thief, was raised to the altars. St. Dismas has been recognized as a saint by the Church for centuries; he has churches named after him; approved prayers directed to him; and His feast day on the universal calendar is March 25. Notwithstanding the evils that John XXIII, Paul VI and John Paul II inflicted upon the Church, we certainly hope and pray these Popes are among the blessed in Heaven. Indeed, through their repentance, the merciful forgiveness of God and the grace of the sacrament of Extreme Unction, they may very well be. 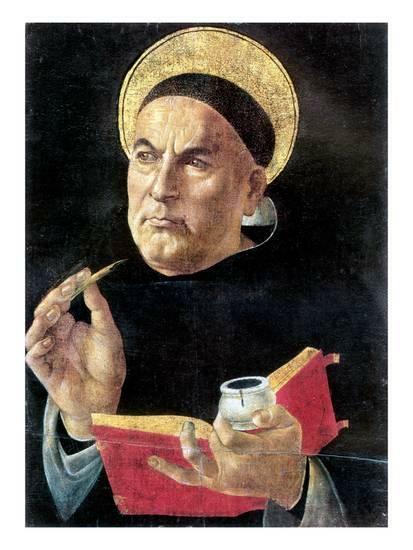 What About St. Thomas Aquinas? Finally, no theological analysis would be complete without surveying the opinion of the Universal Doctor of the Church, St. Thomas Aquinas. My opponents will be quick to argue that “St. Thomas believed that canonizations were infallible.” However, St. Thomas was clear that he was expressing his own opinion, which he strictly qualified, and we must also remember this was long before the First Vatican Council declared that infallibility applies to the primary objects of the Faith. [I]t is certain that it is impossible for the judgment of the universal Church to err in the things that pertain to the faith…But in the case of other decisions regarding particular facts, as when it is a question of possessions or crimes or something similar, it is possible for the judgments of the Church to err because of false witnesses. The canonization of saints is midway between these two. Thus, St. Thomas does not say that canonizations are certainly infallible. Instead, he places canonizations between matters to be believed by faith (which are infallible) and matters of human testimony (which are fallible). In doing so, St. Thomas strictly qualifies his opinion, even stating that the infallibility of canonizations is only “piously to be believed,” which is far different from the assent of Divine and Catholic which is required for Church dogma, or even ecclesiastical faith which one has in secondary objects of infallibility. Thomas Aquinas is the most prestigious author supporting this theory (infallibility of canonizations). But it should be said that the use of the concept of infallibility and of language relating to it, in a context that is so far from that of the 19th century when the First Vatican Council was held, risks being anachronistic. St. Thomas placed canonization half way between things that pertain to the faith and judgments on certain factors that can be contaminated by false testimonies, concluding that the Church could not make mistakes: in fact, he claimed that: ‘thinking that judgment is infallible, is holy.’ As I said before and I repeat again, the ‘Pastor aeternus’ rigorously defines and restricts the concept of papal infallibility which could previously [before being defined, have] also [been considered to] encompass and contain or be likened to the concepts of ‘inerrancy’ and ‘indefectibility’ in relation to the Church. Canonization is like a doctrine which cannot be contested but which cannot be defined as a doctrine of faith as all faithful must necessarily believe in it. St. Thomas, balanced, as always, in his judgment, is not infallible to the end. He is rightly concerned to defend the infallibility of the Church and he does so with a theologically-reasonable argument, on the contrary. His argument can be accepted in a broad sense, but admitting the possibility of exceptions. I agree with him that the Church as a whole cannot err. This does not mean that every act of the Church, as the act of canonization, is in itself necessarily infallible. The assent which lends itself to acts of canonizations is of ecclesiastical faith, not divine. This means that the member of the faithful believes because he accepts the principle that the Church does not normally err. The exception does not cancel out the rule. Notwithstanding the efforts of many Sedevacantists and anti-Pope Francis types to convince us that it is “impossible” for the Church to err in the canonization of a saint, the Church has never declared that infallibility extends to canonizations, and there are many reputable theologians, past and present, who believe that canonizations are not (and never were) covered by infallibility (and, as noted, not all Sedevacantists believe infallibility extends to the canonizations of saints). 2) Even if a canonization does provide infallible certitude that the person is in Heaven, one would have to be able to demonstrate that the candidate was, in fact, not in Heaven to demonstrate any violation of what the Church’s judgment guaranteed to be true. As bad as John XXIII, Paul VI and John Paul II were, at times, as Popes, they did have some “laudable” qualities, as even their adversaries would admit, including their general belief in traditional Catholic morality. The same cannot be said, at least by me, for the Jesuit Modernist Infiltrator, Jorge Bergoglio, in whom I can find nothing laudable or praiseworthy as a Catholic. Almost everything about this man makes me sick. Nevertheless, in light of the foregoing, it is not possible for Sedevacantists and anti-Pope Francis types to present the recent (and, I maintain, bogus) canonizations as “proof” that they could not have come from a true Pope because they violate the promise of infallibility. The problem with the syllogism is as follows: The Major Premise (that the Pope is infallible in canonizations) has not been definitively taught by the Church (and may not even be the common opinion today), and thus, even if the Minor Premise is correct (John XXIII, Paul VI and John Paul II are not true saints), the Conclusion (these canonizations could not have been declared by a true Pope) does not follow. Salza, “Questioning the Validity of the Canonizations – Against a Fact There is No Argument,” The Remnant newspaper, May 31, 2014. While the principle par in parem potestatem non habet (“equal over equal power has not”) applies to a Pope in matters of discipline and ecclesiastical governance, Pope Francis did not declare that he was abrogating or even deviating from John Paul II’s legislation. Rather, Pope Francis chose to act in accordance with John Paul II’s legislation, and thus bound himself, so to speak, to the law requiring the writings of John XXIII and John Paul II to be free from doctrinal or moral error. Divinis Perfectionis Magister, January 25, 1983. Section 1, paragraph 2.3. Fr. Brian Harrison (not considered a “Traditionalist” priest) wrote an article called “John Paul II and Assisi: Reflections of a ‘Devil’s Advocate’” which was published by the Latin Mass Magazine. In the article, Fr. Harrison argues that John Paul II promoted the error, condemned by Pius XI in Mortalium Animos, that “all religions are more or less good and praiseworthy,” by his interreligious activities (e.g., Assisi prayer meetings). Fr. Harrison concluded that John Paul II was not fit for canonization because he displayed less than a heroic level of the cardinal virtue of prudence and the theological virtue of faith. First Vatican Council, Pastor Aeternus, 1870. Catholic Encyclopedia (1913), vol. VII, p. 799 (emphasis added). Tornielli, Vatican Insider, July 10, 2014, http://www.vaticaninsider.lastampa.it /en/the-vatican/detail/articolo/canonizzazioni-canonizations-canonizaciones -351 58/ (emphasis added). “The ‘Canonizations’: CFN interviews Professor Roberto de Mattei,” Catholic Family News, April 14, 2015 (emphasis added). Ibid., Section 2, paragraph 3. Sedevacantists and anti-pope Francis types will cite seventeenth and eighteenth century saints and theologians (e.g., Bellarmine, Liguori) in support of the infallibility of canonizations, but the opinions of these men were obviously formed in light of the very different process for canonizations at that time than exists today. For example, Sedevacantist Richard Ibranyi wrote a lengthy internet piece titled “Canonizations are Not Infallible,” in which he argues that canonizations were not infallible even under the old procedures. http://www.johnthebaptist.us /jbw_english /documents/books/rjmi/br47_canonizations_not_infallible.pdf. Ad honorem…beatum N. Sanctum esse decernimus et definimus ac sanctorum catalogo adscribimus statuentes ab ecclesiâ universali illius memoriam quolibet anno, die ejus Natali…piâ devotione recoli debere. Catholic Encyclopedia (1913), vol. II, p. 367. We also note that not all canonized saints go immediately to Heaven as some think; it is likely that many canonized saints pass through the fires of Purgatory. We further note that the canonization of St. Dismas by Christ is a primary object of Faith, revealed in Sacred Scripture, and not a secondary object; the point of referring to Dismas is that God reveals even hardened sinners are capable of one heroic act of faith on their deathbed. Quodlibetal, IX, a. 16 ed. Frette or Vivès, Paris, vol. 15, p. 566. Tornielli, Vatican Insider, July 10, 2014, http://www.vaticaninsider.lastampa.it /en/the-vatican/detail/articolo/canonizzazioni-canonizations-canonizaciones -351 58/ (emphasis added). One of the more penetrating treatments in modern times of the infallibility of canonizations was given by theology professor Fr. Jean-Michel Gleize in an article entitled “Beatification and Canonization Since Vatican II.” Fr. Gleize’s article, which was published in the traditional periodical SiSiNoNo in June 2011, examines the traditional principles concerning beatifications and canonizations, and the difficulties that are raised under the new legislation. After stating that the infallibility of canonizations is a common opinion according to the theology manuals issued after Vatican I (and before Vatican II), Fr. Gleize raises three principal objections to their infallibility under the new legislation: (1) inadequacy of procedure; (2) collegiality and, (3) heroic virtue. “The ‘Canonizations’: CFN interviews Professor Roberto de Mattei,” Catholic Family News, April 14, 2015 (emphasis added). De Mattei’s statement that St. Thomas “is not infallible to the end” seems a bit anachronistic, since St. Thomas did not claim to be infallible, and moreover, did not hold the infallibility of canonizations to be a matter of divine faith, the very conclusion with which de Mattei agrees. Following the close of Vatican I, the Swiss Bishops issued a Pastoral Instruction which said: “The Pope is infallible solely and exclusively when, as supreme doctor of the Church, he pronounces in a matter of faith or morals a definition which has to be accepted and held as obligatory by all the faithful. Again: It is the revelation given by God, the deposit of faith, which is the domain perfectly traced out and exactly circumscribed, within which the infallible decisions of the Pope are able to extend themselves and in regard to which the faith of Catholics can be bound to fresh obligations.” (Cuthbert Butler, O.S.B., The Vatican Council, 1869-1870, London: Collin and Harvill Press, 1962, first ed. 1930, p. 464.) In response to the Bishops’ Pastoral Instruction, Dom Cuthbert Butler relates that Pius IX “wrote to the Swiss bishops that nothing could be more opportune or more worthy of praise, or cause the truth to stand out more clearly, than their pastoral” (Ibid., 465). See Mt. 27:44; Mk 15:32. “The Fathers of the Church ask, what were the crimes of Dismas? One St. Eulogius accuses him of having killed his own brother. Others reproach him with the crimes common to all thieves, viz: the robbery of travelers, and homicide. None of them recognize in him one laudable quality.” Rev. Schmitt, Dismas, The Good Thief, 2nd ed. (Cincinnati, Ohio: Rosenthal & Co., 1892), p. 6.